Veteran police chief Eli Gallagher doesn’t ask for much, but he does insist that his officers uphold the “serve” part of “serve and protect.” Conscientious young Deputy Stan Leach takes Eli’s moto to heart, maintaining a high standard of personal accountability. When Eli’s long-distance boyfriend, Gilbert Nees, telephones from Philadelphia, Eli thinks he intends to further cement their relationship. Unfortunately, Gilbert’s news is anything but good. But Eli doesn’t have time to wallow, because a violent act results in murder in the small town of Morristown, Mississippi. But as Eli and Stan uncover evidence, their personal lives begin to unravel. Stan, working closely with Chief Gallagher, grows increasingly attached to Eli and learns what it really means to be an advocate of justice. It’s not often that my rating for an audiobook differs quite so much between the narration and the story itself, but I found the storyline of The Winter Dark didn’t quite work for me and I’m going to try to explain why without revealing too much about the events that take place – or rambling incoherently… hopefully. While I knew from the blurb that Chief Eli Gallagher had a boyfriend who was not Deputy Stan Leach and that eventually he and said boyfriend would have to part ways (again, pretty clear from the blurb) in order for anything to start up between Eli and Stan, I did not expect to be well past the half-way point in the book before the police chief and his deputy finally get involved. For me, the author spent far too much time on the relationship each man was involved in prior to the murder that brings them together. Even though the relationships gave us a chance to learn a bit about each man, they led to a shortchanging of the relationship the blurb promised. In fact, there was a complete lack of relationship development between Eli and Stan. And while I can accept that the intensity of the murder that takes place can forge a bond between two people, I needed more. I’m all for an author giving the reader the chance to use their own imagination to fill in some of the blanks – especially in a novella – but I found the jump that takes place from the start of their relationship to the epilogue to take that a bit too far. Show me just a bit of relationship development that takes place away from their work setting so that I can believe the move from A to E.
My issues with the storyline are complicated further by the confusion I experienced while listening to the audiobook. The author would shift focus from Eli’s relationship with Gilbert to Stan’s relationship with Harvey and back again within the same chapter – with no warning, like a heading for Stan or Eli, to signal the change. These focus shifts were made worse by the fact that the author would sometimes refer to the characters by their first name and other times by their last name and it didn’t seem to matter who was addressing them. I do believe that had I read The Winter Dark, much of my confusion would have been eliminated because I expect that I would have seen textual cues for the focus shifts (like extra line spacing to show section breaks) so it wouldn’t have been as jarring as it was in the audiobook. Kelly does a good job of giving each character their own voice, but I still found myself backtracking in the book to make sure I knew which character was taking center stage. While I did enjoy The Winter Dark, it doesn’t come close to living up to its blurb – at least not for me – and I just can’t see myself queuing it up again for a re-listen, not even to enjoy Kelly’s vocal performance. J.S. Cook (JoAnne Soper-Cook) published her first story when she was 8 and hasn't looked back since. Don't let her cynical exterior fool you: this author (whose nickname at university was 'Sarcasmo') is a hopeless romantic and a big mush. She is a dog mom and supporter of animal rights, whose children have four paws and fur. She writes crime/mystery/noir. She does her own forensic experiments. J.S. Cook was born in a tiny fishing village on the seacoast of Newfoundland. Her love of writing manifested itself early when her mother, impressed with the quality of a school assignment she'd written, sent it to the editor of the local paper - who published it. Since then she has written novels, short stories, novellas, plays, radio scripts and some really, really bad poetry. She has worked as a housekeeper, nanny, secretary, publisher, parliamentary editor and a university lecturer, although this last convinced her never to step foot inside a classroom again. She holds a B.A. (Honors) and an M.A. in English Language and Literature, and a B.Ed in Post-secondary education. She loves walking and once spent six hours walking the streets of Dublin, Ireland. She maintains she wasn't lost, just "looking around". She makes her home in St. John's, Newfoundland, with her husband of 26 years and her spoiled rotten 'dogter', Lola, who always gets her own way. 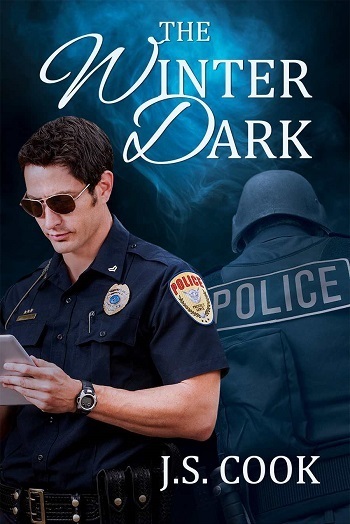 Reviewers on the Wicked Reads Review Team were provided a free copy of The Winter Dark by J.S. Cook, narrated by K.C. Kelly to listen to and review.